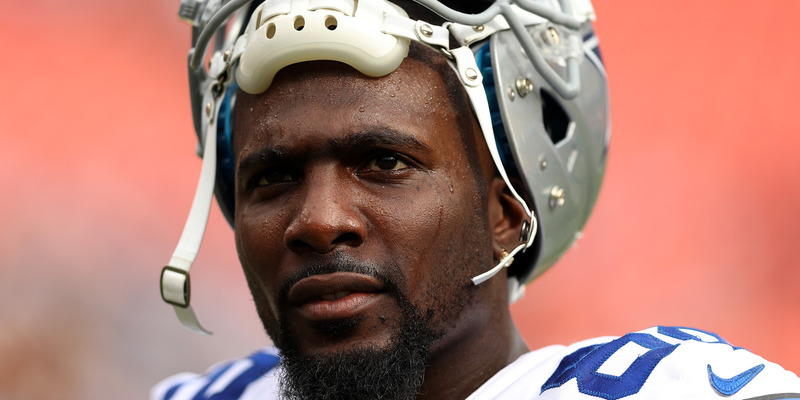 Wide receiver Dez Bryant is still on the free agency market as NFL teams begin minicamps. Bryant reportedly turned down a multi-year offer from the Baltimore Ravens, hoping instead for a one-year deal so that he could cash in next offseason. With declining athleticism and a shift in NFL offenses, Bryant may not be that highly coveted by teams. As mandatory minicamps in the NFL get underway, Dez Bryant remains on the free agency market, waiting for a new contract. The Dallas Cowboys released Bryant in mid-April, and he has yet to find a landing spot. Bryant’s contract (he was slated to make over $US12 million this season) and declining production played roles in the Cowboys’ decision. And while Bryant’s effectiveness has been diminished in recent seasons, due in part to foot surgery in 2016, it’s still somewhat of a surprise to see a player once regarded as one of the league’s best receivers remain unemployed. In late April, the Baltimore Ravens reportedly offered Bryant a multi-year deal that NFL Network’s Ian Rapoport reported was in the neighbourhood of three years, $US21 million. Bryant, however, turned it down, instead opting for a one-year deal with the hopes of putting in a strong season, then cashing in next year. Unfortunately, for Bryant, more offers don’t seem to be coming in. In an offseason that saw several of the top free agent receivers get big contracts, Bryant hit the market too late in the game. Teams with needs at wide receiver spent their money or later drafted receivers. Additionally, Bryant’s game may not fit the modern NFL as well anymore. With his athleticism sapped, Bryant’s best skill at this point may be using his big frame to bully smaller cornerbacks and make well-contested catches, as The Ringer’s Robert Mays noted. That’s a useful skill in some situations, but ultimately, a low-percentage play. Mays wrote that in today’s NFL, many teams focus on receivers who can create separation and make plays, all within a larger system. That doesn’t seem to be Bryant’s forte anymore. Even still, it remains a surprise that Bryant hasn’t been picked up on a one-year offer by a team looking to bolster its receiving corps. It could be a low-risk, high-reward move for a team looking for extra weapons without making a long-term commitment. The view of Bryant around the league may be that he doesn’t have much more to offer. Though he’s still only 29, consider how Aaron Rodgers labelled Bryant when asked about rumours that Bryant could be a fit with the Green Bay Packers. “We like young receivers, so I’m assuming that’s the way they are going to keep going,” Rodgers said. “I don’t know why you’d cut Jordy [Nelson] and bring in Dez.” Rodgers added he’d welcome Bryant with open arms. Nonetheless, it’s worth wondering if that’s how the rest of the league now views Bryant – old. Add in some of his attitude issues – something Bryant himself alluded to when the Cowboys cut him – and teams may not be that interested.